Vivian Silverman is an Interim Manager. He works on a number of projects each year, implementing change within different companies. I’m an interim manager, which basically means I complete short term contracts and implement change within different companies before moving on to do the same elsewhere. I originally trained as a chartered accountant so what I do now relates mostly to finance. I’ve worked on a range of projects from moving the entire offices of a national newspaper and making their business profitable to improving the finance structure of a publishing firm with the aim of clearing their overdraft, but I can be drafted in to work on anything really. What’s your working pattern like? Extremely varied- my day-to-day work pattern changes with each project I complete, as does the length of the work. On average I’ll be working on the same thing for about six months, but it can range anywhere from three months to 18 months. There is no standard formula, you just make a difference and move on. The length of time you spend not working between projects differs hugely too. My longest break was six months and the shortest was 20 minutes – I literally got home from my last day, when the phone rang and I was offered a new assignment! The challenge of going in somewhere new on a regular basis and being the sole person responsible for change can be really rewarding. I love fixing things that are broken and coming from a chartered accountancy background I really enjoy making profits rather than checking other peoples’. It’s sad that you’re not always around to see the fruits of your labour and how your decisions have changed a company. Also, you’re self employed so no work means no money which can be tricky. What attributes do you need to be a great interim? You have to have the ability to make people listen to you. If you can be blunt but polite at the same time it helps and objectivity is a must. The desire to make a change is hugely important and I should point out interim management is not a career for recent graduates; you need to have several years of industrial experience to gain both credibility and a reputation, or else it’s very hard to convince people you can do the job – having said that, it’s a great career to aim for. What advice would you give to someone who wanted to be an interim? Get a breadth of experience and don’t be typecast. Working in a vast range of industries makes you more marketable and gives you more options, so don’t come out of university wanting to only work for a big firm or only wanting to work in telecoms, for example. Be open to all opportunities. What’s the salary and career path like? 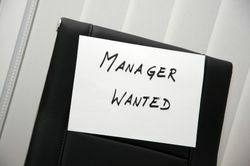 There isn’t really a standard career path for getting into interim management. I was of an age where you could qualify to be a chartered accountant in just four years with only A Levels. The industry is very different now, so qualifications are a must. Other than that I’d recommend getting as much experience as possible and consolidating your theoretical knowledge with real skills that will make you one step ahead of standard business consultants. The salary is generally very rewarding.